Ford has announced that it will co-develop an SUV with Mahindra, the Indian manufacturer of tractors, EVs, and most importantly for this story, trucks. The new SUV will use a Mahindra platform, and it's implied that Ford will do the heavy lifting on the rest of the vehicle. The two companies will also develop an electric vehicle, perhaps with input or branding with Mahindra's Pininfarina subsidiary. 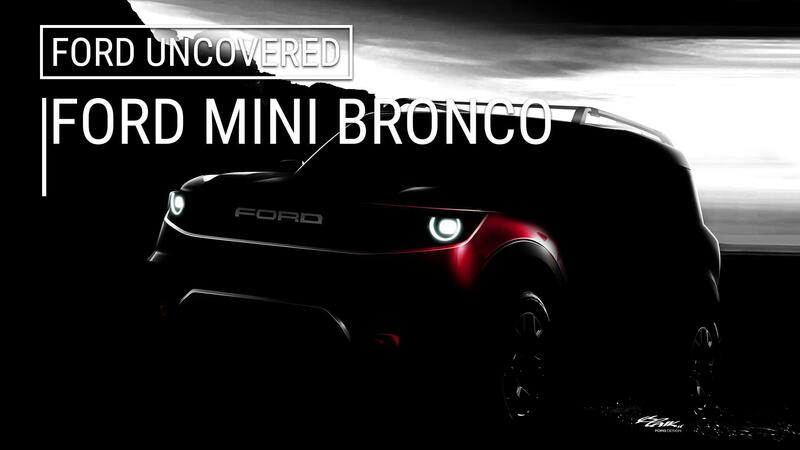 It is unlikely that the SUV has anything to do with the upcoming 2020 Bronco or the recently-announced "baby Bronco". The former will almost certainly be based on a Ranger chassis, and the latter on something already optimized for sale in North America. We've heard about this partnership before, which will run for three years initially. While it's mainly a play to increase Ford's reach in the growing Indian market, it could lead to export opportunities. But beyond that, we just don't know. We do know that Mahindra has tried, and failed so far, to sell its products in the U.S. – with the notable (and cute) exception of the Roxor, a Jeep CJ clone that's not street legal. We also know that late last year, Mahindra opened a new HQ near Detroit, and wants to sell EVs here – whether branded as Mahindras or its sub-brand Pininfarina is unclear at this stage. So, while it might not have much to do, ultimately, with this co-developed Ford SUV, Mahindra is as interested as ever in the North American market. Mahindra also owns the Ssangyong brand, and at one point was toying with the idea of bringing some of those vehicles to the U.S. – but it's not clear if there's still interest in that strategy. Ssangyong currently produces a range of small CUVs, so it's possible that Ford will snag one of these platforms to utilize for the co-developed product. Mahindra also sells several CUVs, like the Quanto and the KUV100. The reason we're highlighting these smaller, carlike offerings is because they're much more popular in emerging markets than the large, inefficient, and comparatively expensive pickup-based SUVs, which are generally considered commercial vehicles due to running costs.